With the deadline for the International Maritime Organization’s global sulfur cap looming, low sulfur fuel oil appeared to be the main marine fuel option, Taiwan’s Yang Ming Marine Transport Corporation said Wednesday. “The use of low-sulfur fuel is the intended solution for now, but we can’t rule out other options like scrubber installation and LNG related infrastructure,” it said in an e-mailed reply. 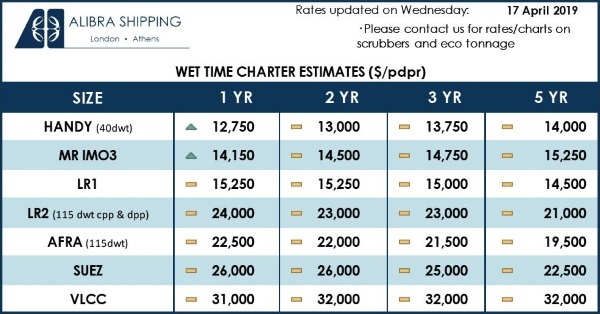 IMO will cut the sulfur cap in marine fuels to 0.5% from January 1, 2020, compared with 3.5% currently, which means shipowners have to either switch to cleaner, more expensive fuels or install scrubbers. “Under the circumstances of unexpectedly slow recovery in the marine industry as well as the uncertainty of further changes to legislation worldwide, we think the measures will need to be decided prudently,” Yang Ming said. The issue was still under evaluation at this stage and the final decision would be made in due course, it added. The company is seeking to reduce operating costs and mitigate the environmental impact of its older ships by an ongoing fleet renewal program. It sought to replace older ships upon the expiry of their charter agreements and would further review the old, fuel-consuming, non-eco friendly fleet, it said. Yang Ming recently signed time charter agreements with Japan’s Shoei Kisen Kaisha earlier this month for five 11,000 TEU containerships and with Greece’s Costamare for another five 12,000 TEU newbuilds. 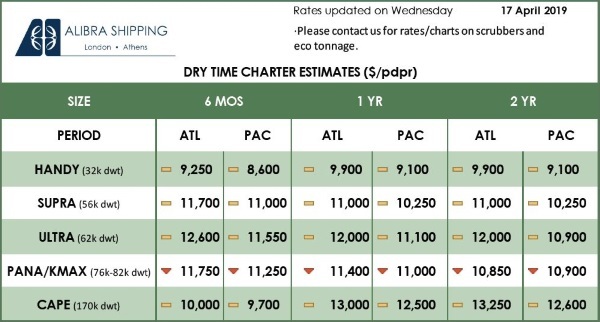 All the 10 chartered container ships will be newbuilds, due to be delivered from the second quarter of 2020 through Q3 of 2021, the company said in a statement last week. In view of the IMO’s 2020 sulfur cap, the vessels were designed in compliance with the regulations and would be more efficient in bunker fuel consumption, Yang Ming said. The chartered newbuilds will emit less carbon, use fuel oil containing limited sulfur, and will be equipped with a more efficient ballast water treatment system, it said last week. They would help improve the company’s daily operations and would be instrumental in long-term development and fleet modernization, Yang Ming said, adding that there was, however, no specific dates for their future employment. Yang Ming currently operates a fleet of about 106 container ships with a total capacity of more than 600,000 TEU.